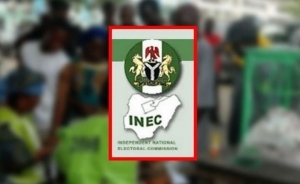 A head of tomorrow’s rescheduled presidential and National Assembly elections, the Independent National Electoral Commission (INEC) on Thursday said it would not conduct elections in volatile areas where security agencies said the safety of their officials could not be guaranteed, especially in some parts of the North East where Boko Haram insurgents had displaced thousands. It would be recalled that in 2015, the presidential election was shifted from February 14 to March 28, 2015 while the governorship and Assembly elections scheduled for February 28 were shifted to April 11 because of security issues. Also, the convoy of Borno State governor, Kashim Shettima, was last week attacked by the Boko Haram splinter group loyal to the Islamic State, West Africa Province, in Gamboru area of the state while the governor was on election campaign. Speaking with Daily Independent on whether INEC would go ahead with the elections tomorrow despite the security situation in the North-East, Festus Okoye, National Commissioner and Chairman, Information and Voter Education Committee of INEC, said while the election would go ahead as scheduled, it would not risk the lives of its officials and ad-hoc staff by posting them to areas where their safety could not be guaranteed. He said: “We won’t just move ad-hoc staff arbitrarily to places where we believe they are very vulnerable or places we believe that if we deploy them to, they are likely to come to harm. “We have been working with the Interagency Consultative Committee on Election Security to map out places that we regard as flashpoints, places that have serious problems of insurgency and places that we have camps of IDPs. “Wherever it is impossible to conduct elections and the security agencies are saying they cannot protect those areas, of course we won’t conduct elections in those areas. “The implication is that it is either the people are completely displaced or partially displaced. “Wherever it is possible for people to vote, we will make sure that the people are not disenfranchised. On the challenges that may be experienced by internally displaced persons (IDPs), Okoye said: “Before this period, we developed a framework for voting by persons who are internally displaced and thereafter we issued a regulation and guidelines for voting by internally displaced persons (IDPs). “Up to this particular period, we have identified IDPs in 15 states but as we are moving towards the elections, it may lead to upscale. “What we have said is that we have a data of all the persons who are internally displaced in various parts of the country in Borno, Yobe, and Benue. “During the Continuous Voter Registration exercise, those that lost their PVCs and whose names are in the voter register, we printed their PVCs and handed over to them. Those that have not registered before, we registered them and also gave them PVCs.